CDG Conseil a participé à la 3ème assemblée générale d’INRALS à Amsterdam, les 8 et 9 octobre dernier ; INRALS (International Network of Recruitment Agencies in Life Sciences) est un réseau international de cabinets spécialisés en Life Sciences, Food Industry, Comestics avec plus de 20 cabinets et une centaine de consultants à travers le monde. 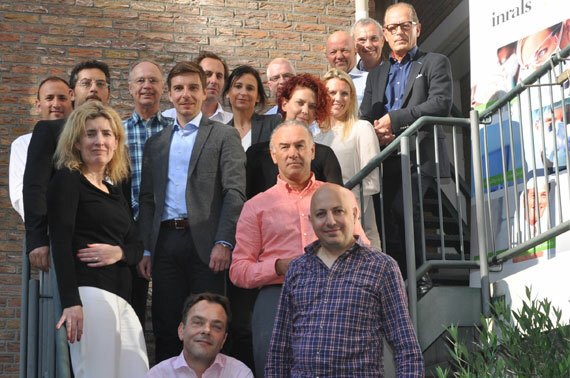 The third General Assembly of INRALS in Amsterdam, October 9 and 10, was a great success. The attending member countries shared information, vision, market intelligence and thoughts on how to proceed the network and make it work even better. The members from all over the world inspired each other with best practices and enhanced the quality of their agencies even more further.